Munchies Canadian Edition: Snacks, Eh! Finding yourself with an attack of the munchies north of the border? 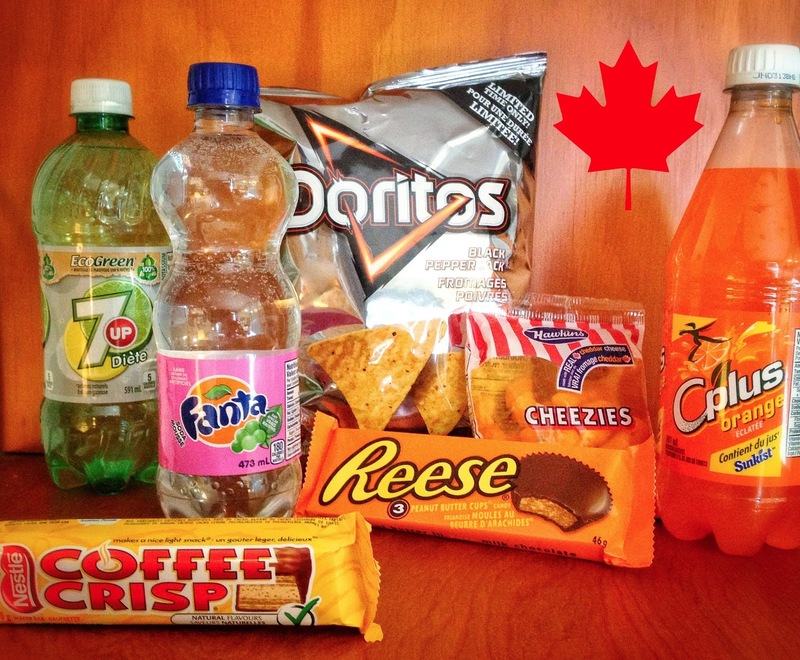 Munch on these Canadian snacks! Diète 7UP: Tastes just like Diet 7UP! Fanta Soda Mousse: Cream soda flavored Fanta that's smooth AND tangy! C'Plus Orange: Canadian decaffeinated Sunkist, kissed with a drop of Sunkist Juice! Hawkins Cheezies: Made with REAL Canadian cheddar cheese! Doritos Fromages Poivrés: Black Pepper Jack Doritos for a limited time only! Reese Peanut Butter Cups: They drop the "S" in Canada and give you 3 (smaller) candy cups! Nestlé Coffee Crisp: Coffee flavored chocolate candy bar that "makes a nice light snack!" Blast those munchies cravings, the Canadian way!